Flavia Domitilla Major was the wife of the Roman Emperor Vespasian. She was born in Sabratha to Italian colonists who had moved there during the reign of Augustus. Her father was a humble quaestor’s clerk. Before her marriage, she was a formal mistress to an African knight. Vespasian married her around 38 AD. 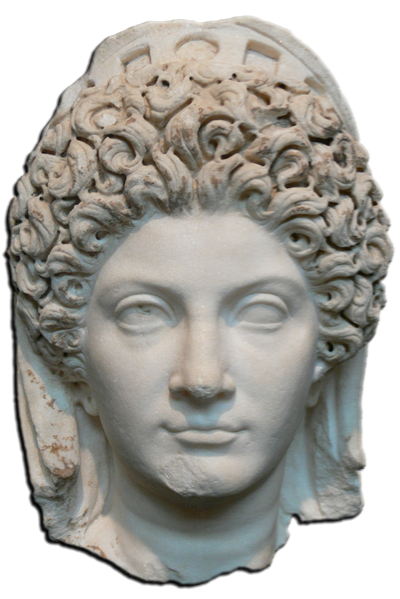 She was the mother of Domitilla the Younger and of the emperors Titus and Domitian. She died before Vespasian became emperor. All coins of her are posthumous.